The state of online marketing is in constant flux, with new technologies and approaches appearing at an increasingly rapid rate. Adweek reported on the six major trends expected to revolutionize online marketing as we know it. 1. 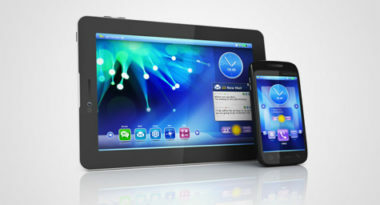 Mobile Merges with Desktop – More and more companies have been developing systems that integrate mobile devices—like the hugely popular tablets—with traditional desktop and laptop computers. Consumers seem to welcome the ease of integration, so this trend is likely to continue. 2. The End of Click-Throughs – It’s been a long time coming, but this may actually be the end of the click-through rate. Most marketers certainly won’t miss it, since it has always been an extremely inefficient way to measure the success of digital advertising. 3. HTML5 Gains Attention – Today’s newer and more mobile-minded HTML5 technology is growing in popularity with advertisers and publishers. It is rapidly replacing Adobe’s Flash, especially since Apple rejected the Flash format for the iPhone and iPad. 4. Supercookies Stay – These supercookies continue to track consumer behavior even after they’ve been deleted from Web browsers, which makes them a point of contention with consumers. Even though some websites have promised to stop using them, the fact that they’re legal means they will remain on the radar. 5. Ad-Tech Consolidation Becomes a Reality – The industry has been dreaming of this consolidation, and the recent merging of major players is making this wish come true. 6. Specialized Content Retains its Value – While different content categories have slightly different results, the past year has seen the CPMs paid for display ads remaining relatively steady, according to ad intelligence company, SQAD. These six major trends could have a serious impact on digital advertising, so let this insight be your guide to planning your online marketing moves of tomorrow. For the latest online marketing strategies to keep your brand competitive, contact MDG Advertising.